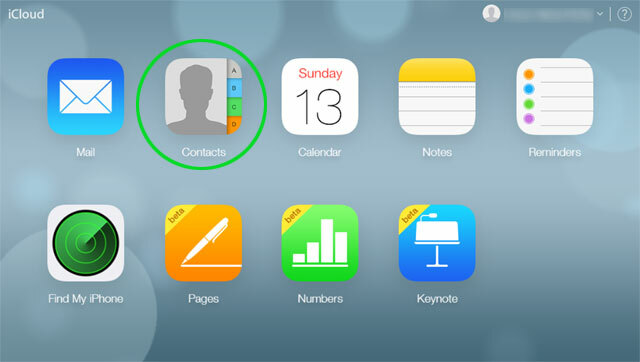 Contacts in iPhone keep the basic information of our friends, relatives and people from our business circle. Therefore, these contacts play a great role in our life. Due to some virus or malfunction, one can lose his contacts. It makes the user helpless and disappointed. So, one should know how to create VCF file from iPhone contacts. VCF or vCard is a business card that stores contacts and it is compatible with many operating systems. If a user has VCF file as a backup of iPhone contacts, then he can import VCF file to Outlook and access his contacts at the time of data loss or any malfunction. You just have to share the contacts via Message or Mail with the help of AirDrop feature in iPhone. But it will move specific contact at a time by using Share Contact option. Now, open your contacts and choose the contact you want to save then swipe down and select the tab. There will be two tabs available in the phone. Either you can save the contact by sending a message to another phone or by using Mail option to move the contact to your email address. The contact will be in VCF file format and you need to provide an email address and send it. You can export contacts from iPhone to desktop and save it as a backup in your system. Note: This method is for only 10 contacts. The method will not work if contacts are above the limit. Go to https://www.icloud.com/ and login with your Apple ID and password. Click on Contacts button. It will open a list of contacts that are saved on iCloud. Select the contacts one by one or all by clicking on Gear icon and click on Select All. Then again, click on the Gear icon >> Export vCard. Then a VCF file will be downloaded on your system. 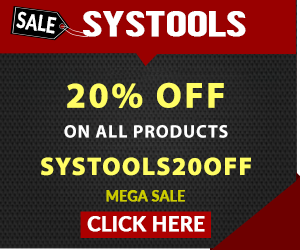 Now you can keep that file as a backup in your system or import it to any other source for future access. In above method, we are using iCloud to export iPhone contacts to vCard or VCF file format. For this method, you need to do the same and download the VCF file in your system. Now, login to your Gmail account. 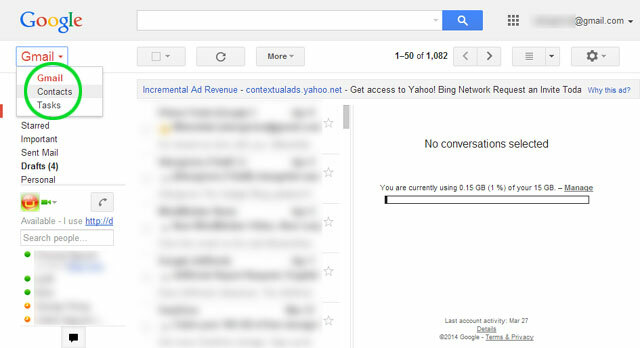 Click on Gmail drop down from the left pane of the window. Then click on Contacts. In Contacts window, click on More drop down from the top and click on Import. Now browse the VCF file in your system and export all contacts from iPhone to Gmail. 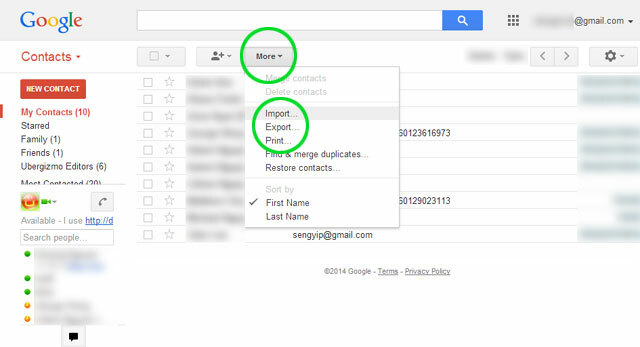 You can synchronize all your contacts to any other device or email client with the help of Gmail. MS Outlook is one of the email clients i.e. widely used all over the world. So, a user may find Outlook as a primary source to store his contacts. You can create VCF file from iPhone contacts and import VCF file to Outlook with the help of vCard Importer tool. The solution is quite safe and all the iPhone contacts can be easily imported to Outlook without any data loss. 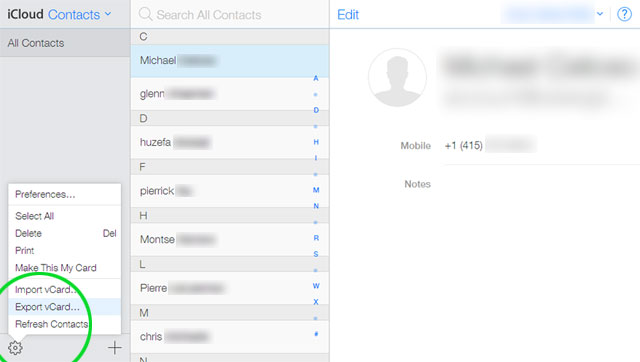 It is a helpful solution to backup iPhone contacts. In this article, we have discussed different ways to create VCF file from iPhone contacts. VCF or vCard is a file used to store contacts that are compatible with various platforms. So, a user can backup the VCF file for future use to extract important contacts from it. All the contacts in this file can also be imported to many email clients like Outlook. You can use the above solutions to backup and export contacts from iPhone to VCF.